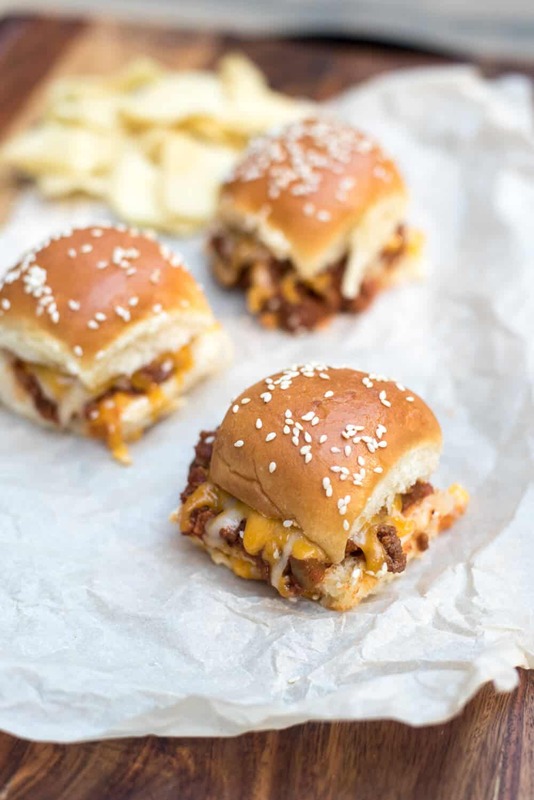 Toasted buns filled with a super flavorful Sloppy Joe mixture and melted cheese. 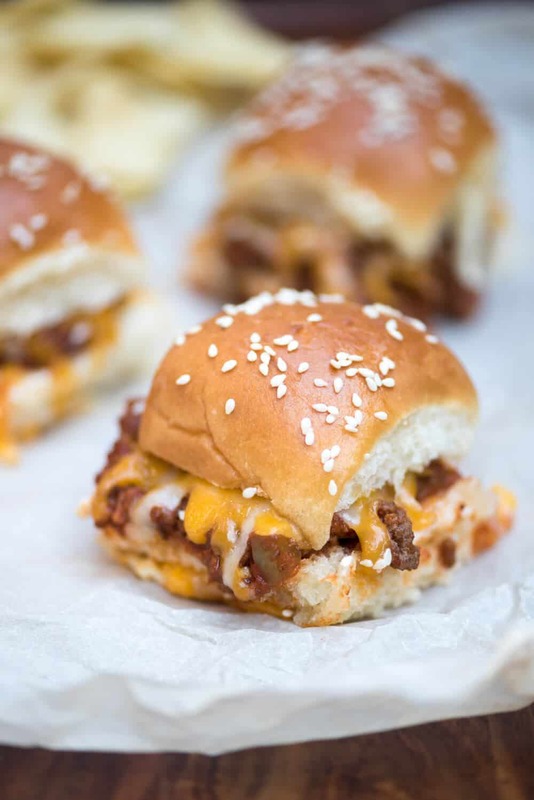 These fun little Sloppy Joe Sliders have game day party written all over them! Click HERE to sign up for your FREE email subscription so you never miss a recipe! I think I’ve done it. 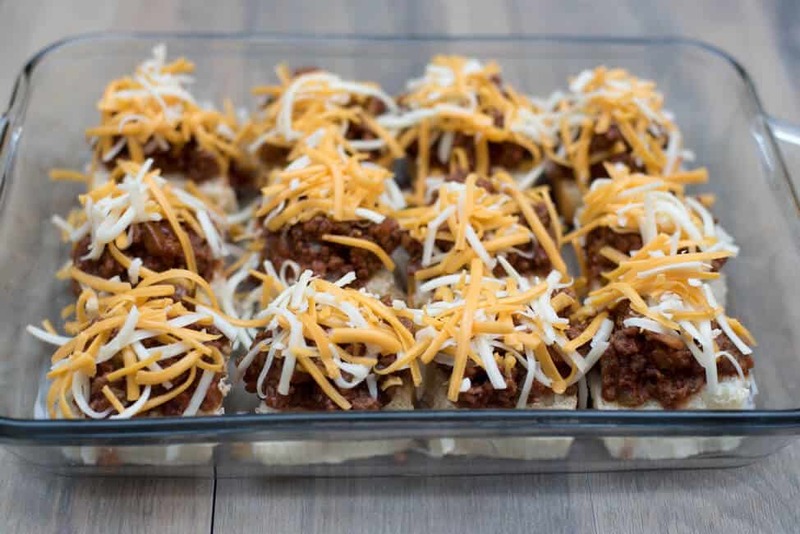 I’ve made what just may be THE perfect snack for your game day festivities. Or pop a batch in the oven on Halloween night and serve them alongside a big bowl of coleslaw for a fun pre-trick-or-treat meal with the kids. In my case, “the kids” are all well over 6 feet tall, a couple have scruffy beards, and there may be a tattoo here or there, but hey, they’re still my babies. I have a weird thing to confess. I’ve never made Sloppy Joes with the store-bought mix. I’m not going to name names but you know the kind, right? It’s just so gosh darn easy to make from scratch and I love to add my own spices to make them a little different each time. I wanted big flavor for these little sammies so this time around I went with some Worcestershire, a little cumin, garlic powder, smoked paprika, and a touch of brown sugar to help balance out all that flavor. I also added some crushed red pepper to give them a kick but this is totally optional. I used King’s Hawaiian Savory Butter Rolls, my favorite of all the varieties of King’s Hawaiian Rolls that I’ve tried. They are yummy! Did you know that one package of 12 rolls fits perfectly in a 13″ x 9″ baking dish. It’s fate! Separate the rolls, slice them in half and place the bottoms in your baking dish. 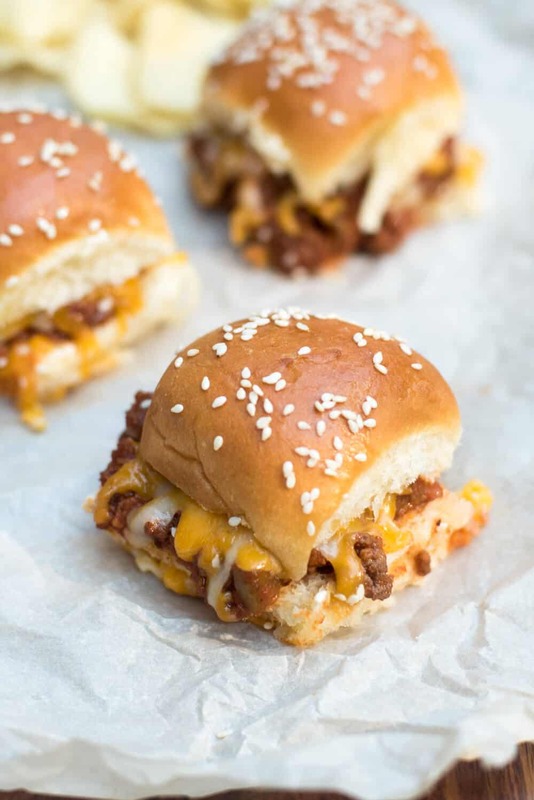 Top each bun with some of the Sloppy Joe mixture. Add a little shredded cheese to each one. I went with a combination of sharp cheddar and Monterey Jack but use what you like. Place the top half of the buns on, brush them with a little melted butter, and sprinkle them with sesame seeds. The butter adds a toasty quality and the sesame seeds just make them adorable. Don’t you think? After 10 minutes in a 350 degree oven they are ready to serve. 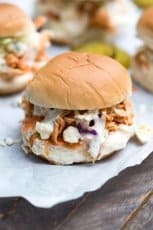 Attention Sloppy Joe fans! 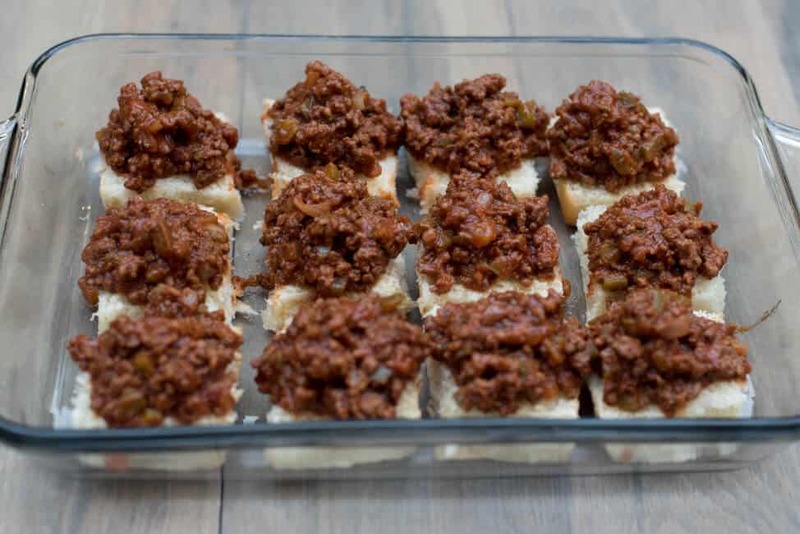 Hop on over and check out my Cajun Sloppy Joes and Sloppy Joe Squares. In a 10" to 12" skillet over medium heat, cook the ground beef, onions, and bell pepper until meat crumbles and no pink remains. Drain off as much grease from the pan as possible and return the skillet to the heat. Add tomato sauce, ketchup, Worcestershire, mustard, brown sugar, cumin, garlic powder, smoked paprika, crushed red pepper, and fresh ground black pepper. Stir well to combine and reduce heat to low. Simmer 10 minutes, stirring occasionally. Meanwhile, preheat oven to 350 degrees F. Separate the slider buns and slice in half. Place bottom half of buns in a 13" x 9" baking dish. 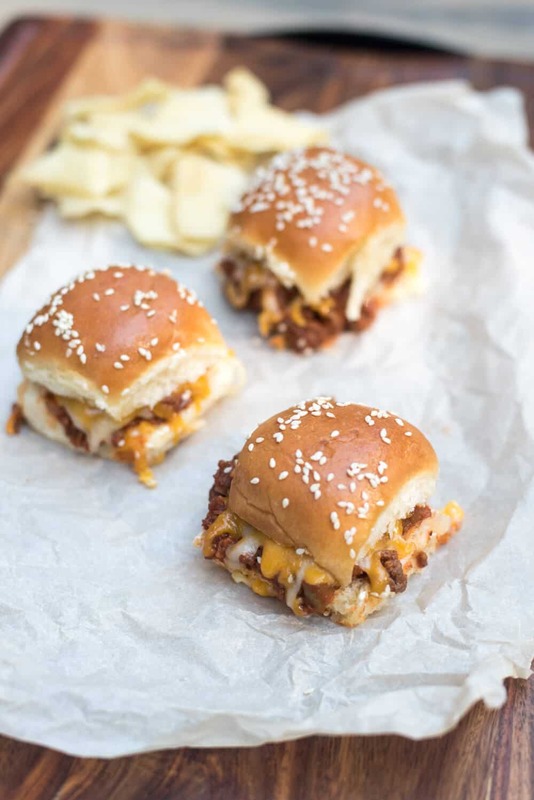 Spoon some of the Sloppy Joe mixture on to each bun and then sprinkle each one with shredded cheese. Place top half of the bun over the cheese. Brush the tops of the buns with melted butter and sprinkle with sesame seeds. Bake at 350 degrees F for 10 minutes, or until buns are lightly toasted and cheese has melted. Oh, man, those King’s Hawaiian rolls are the best, arent they? 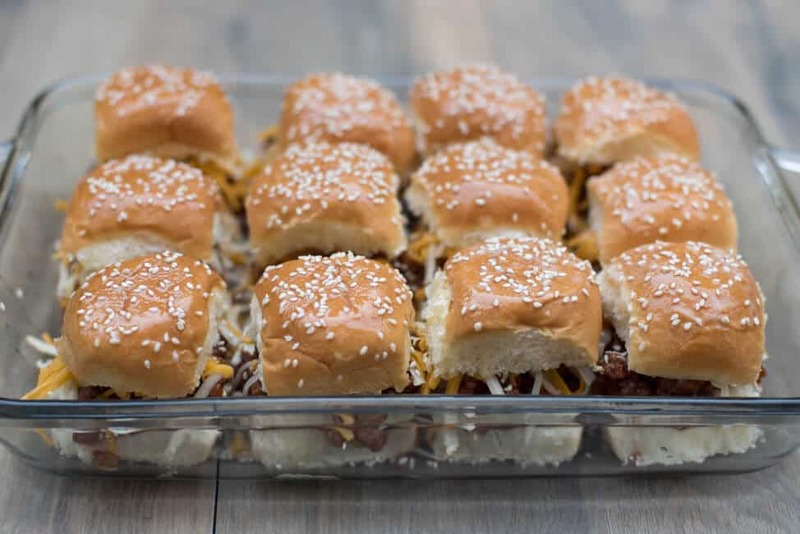 Have made all kinds of sliders with em, these’ll be super easy, sure to be a hit at the party my friends are having, Broncos/Raiders, go Broncos! I just realized I can’t remember the last time eating sloppy joes and I LOVE THEM! 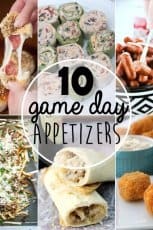 This recipe looks incredible and perfect for game day! 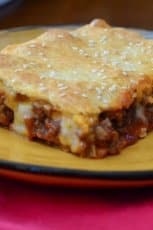 I served this to my family and we all loved them. Highly recommend. Thanks. Awesome recipe! Definitely a keeper. I used Kraft singles instead of shredded cheese and it worked great, 6 slices covered the buns nicely. 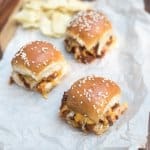 This is the best homemade sloppy joe recipe I’ve found, great flavor and not too salty or too sweet, just nice and savory. Even if you don’t have time to bake in the oven, just make the meat mix and throw it on some buns and it’s a good quick dinner. I love that idea, Amy. Sounds delicious! It looks so good! Thank you for the recipe! Great twist on an old favorite! 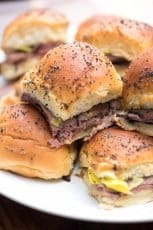 I seeved these to a crowd for Superbowl LVIII h it was a big hit! I topped the buns with a mixture of butter & garlic powder then put them in the oven! Delish! I’m tyrying them on my coworkers for Valentine’s Day.